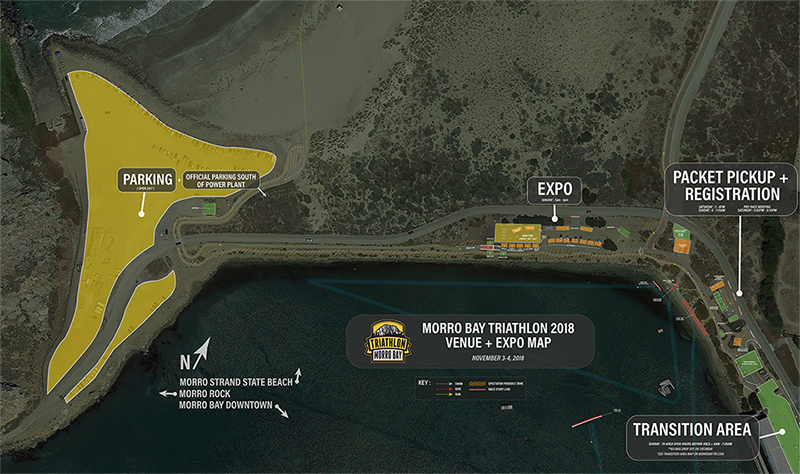 The Start/Finish, transition area and festival area are located at Coleman Park at the end of the Morro Bay Embarcadero Road right in front of Morro Rock. There will be plenty of first come first serve parking available a quarter mile southwest on Coleman road in the large lot beneath Morro Rock. 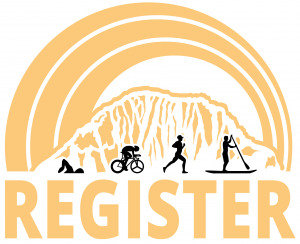 No packet pick-up/race day parking is permitted at Coleman park. View venue/expo map below. Click map to view details.